It was a table filled with jewelry, but that wasn’t what Paula Beauchesne noticed. What caught her eye was that the woman behind the table was flanked by her four children, all busy helping with customers. She got the woman’s card, went home and signed up herself – and her daughter, Erin – as Origami Owl® Designers. “I had no idea what we’d be selling,” jokes Paula, but the opportunity to run a business with her then 12-year-old daughter was enough to convince her take the leap. Over the past two-and-a-half years, that leap has led to a rewarding mother and daughter business – one that has blessed the entire family. 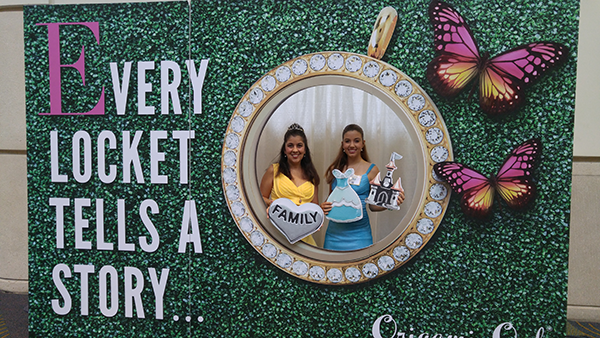 Paula and Erin quickly fell in love with Origami Owl and the chance to help others tell stories through Living Lockets. 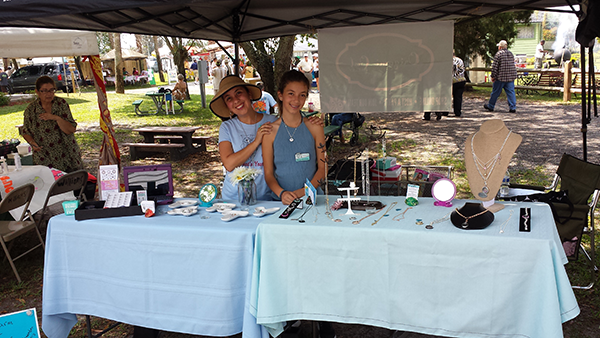 As a mom, Paula has also loved what it has brought to their relationship – lots of quality time together, focused on growing their mother and daughter business, during years that are typically tough for moms and daughters. 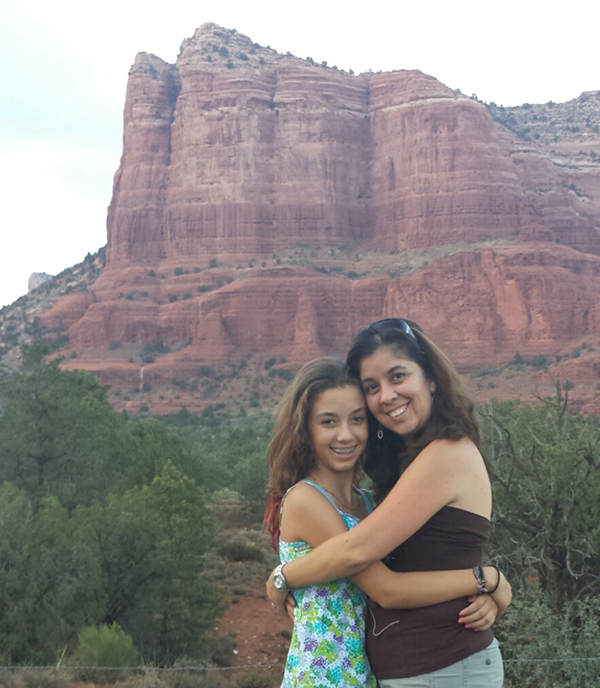 Paula and Erin have done their own fair share of travel, thanks to Origami Owl. They traveled from their home in Florida to their first Origami Owl Convention in Phoenix, where they took the opportunity to see the Grand Canyon. The next year they traveled to Convention in Chicago, where they visited Wrigley Field, followed by this year’s Convention closer to home, in Orlando. (They’ve also gotten the entire family annual passes to nearby Disney World for the past couple years.) “All of this travel and fun came out of our Origami Owl earnings!” said Paula. It’s not just Paula and Erin who’ve been involved, either. Paula’s son, Justin, helps her with her regular Sunday events near their home. He’ll haul in the supplies, hang out for a bit, then jump on his skateboard and head home. Sometimes he’ll even help customers if Paula needs to step away. “People get a kick out of it when they see him. He knows what to show them in the catalogs when they’re looking for something in particular. It’s nothing I’ve taught him; he’s just picked it up watching me,” said Paula. Paula’s husband, Donnie, isn’t about to be outdone by his son. He’s helped share Origami Owl Take Out Menus with the nurses at his work, and he’s even weighed in with some expert opinions on their purchases before. “My husband’s one of my best sellers!” said Paula. 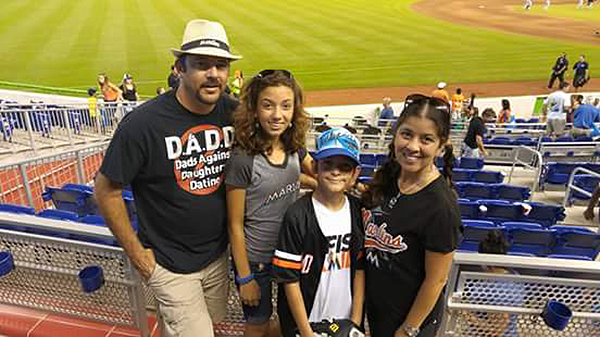 Along with the relationship building their mother and daughter business has provided the entire family, Origami Owl has also given the Beauchesnes an opportunity to give back. Paula appreciates Origami Owl’s Force For Good mission and has been involved in fundraising for several causes, including Boy Scouts and animal shelters in their area. Paula has also given away several Living Lockets to people in times of need, whether it’s a friend who lost a mother or a young girl at an event who had recently lost her mom. “My favorite thing is being able to sit down and make a deeper connection with people, to hear their stories, to get those brief glimpses into their lives that can be so powerful,” said Paula. 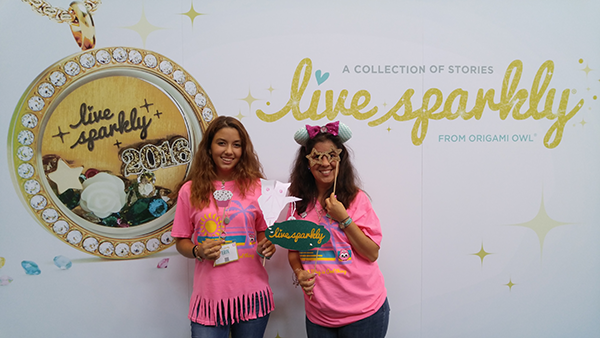 For Paula and Erin, their “live sparkly” joy is found in family. And Origami Owl has been perfect for that – helping them carve out even more time together and create more beautiful memories.